Every kid loves mail! And the concept lends itself to so many great activities. 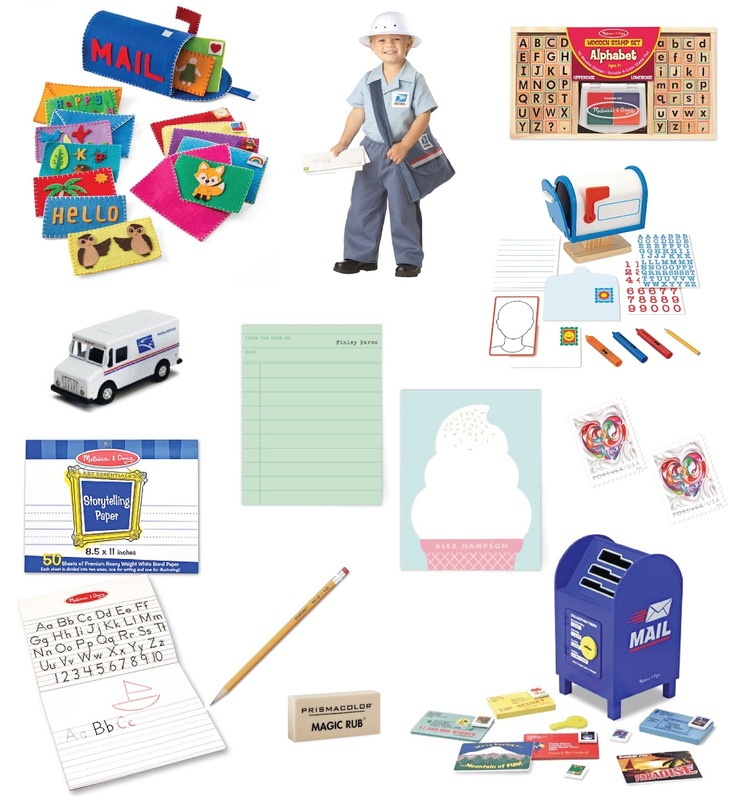 If you're looking for an invitation for your kids to get creative we suggest setting up your own mini post office. We've gathered a few of our favorite postal picks to get you started. Check the dollar bins at Target for small mailboxes too. We've used them for lots of different activities, like a place to leave pre-written notes from a parent on a long business trip, or treats during special holidays. We are constantly on the lookout for opportunities for our children to make positive connections with other children. International Pen Pals will connect your child with other children from around the world (for a fee). And this is a fantastic service opportunity to send cards to hospitalized children. As always, we could love to hear more ideas from you!